MONTREAL, QC – Quebec-based culture and design website Baron Mag has announced the release of the first in an annual series of “bookzines” focused on the national and international craft brewing industry. 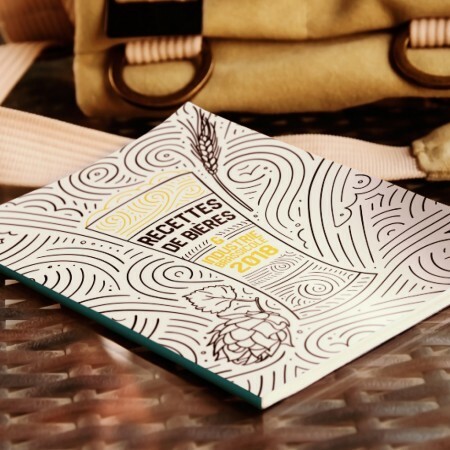 Recettes De Bières & Industrie Brassicole 2018 is a French publication that recipes for a range of beer styles presented in collaboration with different brewers, as well as interviews and features with representatives from breweries and brewing associations from across Canada and around the world. Recettes De Bières & Industrie Brassicole 2018 is available to order now for $15 via the Baron Mag online shop. An English edition entitled Beer Recipes & Brewing Industry is due to follow in March 2019. For more details including a full list of featured beer styles, brewing associations, and breweries, see the ordering webpage.